Caroline Koh, from the Colorado School of Mines, is one of the world’s most foremost experts on gas hydrates. 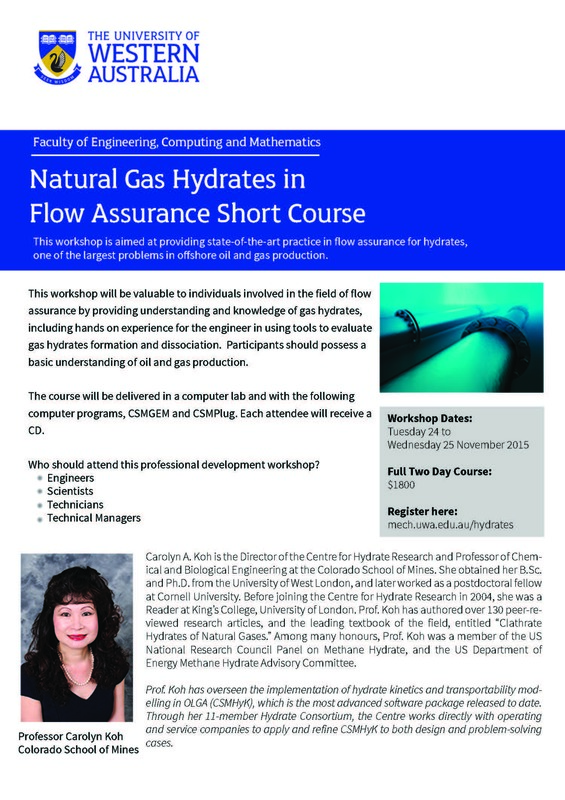 She is presenting a workshop at UWA here in WA aimed at providing state-of-the-art practise in flow assurance for hydrates. This workshop includes hands-on experience in using tools to evaluate gas hydrates formation and dissociation.